It didn’t occur to me to be a “writer”… I’d always written poems, but for myself. When I moved from Galway to Laois I was looking for something creative to do, so I did a short story workshop in Athy’s town hall. When I started writing short stories, I realised how much I loved it. The character of the herbalist appeared in my writing… because of research I had done 20 years before on a Fás summer scheme when I was 19. I was archiving old editions of the Leinster Leader in the same town hall in Athy and an article about a herbalist caught my eye because of his exotic Indian name and the mention of his crimes. My immediate assumption was that he was a scapegoat for somebody else. I was intrigued but didn’t think any more about it. The process of writing opens up your imagination… Things you don’t even know you remember come out. The short story workshop was set in the town hall and outside that was the same market where the herbalist had worked. It was very synchronistic. One day, I sat down in front of the town hall and started writing and referenced the herbalist. So much kept coming to me on this one particular topic that I realised it was going to be a longer story. The book wrote itself… I realise now it’s not always that easy. I felt a huge curiosity about the truth, the secrets and the repression surrounding the herbalist. The voices felt very natural to me and flowed, and the characters battled to get out. I wrote the first draft very, very quickly. It felt exciting and I knew that was good. It didn’t occur to me to try and get it published… It would have been an alien notion for me to send it out. I completed the book and then started writing another one. When the Irish Writers’ Centre Novel Fair came along, I wasn’t going to enter… A friend rang me and said ‘What have you got to lose?’ I only decided to enter with some encouragement. It was very last minute. Carrie King from the Writers’ Centre rang to say I was one of 20 winners… It was one of those moments I remember very clearly from the last few years. When she rang, it dawned on me that it might just be possible that The Herbalist would be published. Until then it was only a dream. You expect it to be crushed and to work on miserably! The Novel Fair was very, very exciting… The nice thing was that the writers were sitting down and the agents and publishers had to move every ten minutes once a bell rang. I remember thinking afterwards, ‘If nothing comes out of this day, I’ve learned so much about my novel.’ You have to boil it all down to a six-minute pitch, and once you’ve said it to the 20th person, you’ve really got down to the core of your novel. You can see the honest-to-god interest the agents and publishers have in finding a good story… The majority were interested. At the end of every pitch, they would give very definite instructions, for example ‘Email me five chapters’. It’s very different to sending your manuscript off to a big office. You can see their instant response and it’s eye-opening. It humanises the whole thing too. You realise it depends whose desk your work lands on and whether that person connects with it. Penguin stepped in very quickly after the Novel Fair… There were other publishers interested but none got back to me as quickly as Penguin Ireland. I met with editor Patricia Deevy within a week or so. She came down to Athy to meet me. Patricia is from near where the novel is set, and she found the voices of the book very authentic. She just got it immediately. Everything went through Ger Nichol, my agent at the time… I didn’t have to negotiate myself. Penguin made the offer fairly quickly. It was a one-book deal with first refusal on the next book. The deal wouldn’t have allowed me to take even a month off work… let alone give up my job. Creatively things have changed in that my book is out there and has done well and I get opportunities to submit my stories to different places, but in terms of my actual lifestyle it has made no difference. I struggle in the exact same way as before to find time. I have 12 hours a week if I really structure things well. The perception of what writers are is very different to the reality… My experience is probably the experience of 90% of writers. I’m not complaining about it. It’s just the way it is. I’m lucky I found what I want to do. Working on short stories suits my life… but it’s a struggle when you’re working on a novel that needs a lot of immersion. It can be frustrating to move into the world of it and out of it again, but I don’t think that’s the preserve of someone writing a book. With any kind of work that’s immersive, it’s hard to switch in and out. But it’s still doable. The Novel Fair was a very positive experience… but it’s not the only way to get published. I do know of people who haven’t made the shortlist and have gone on to be published and have been number one bestsellers. If your book didn’t make the Novel Fair, it doesn’t mean it’s not a good book and that you shouldn’t send it to other places. There’s a very diverse world of publishing out there. The thing is not to give up… You never know how close you are. 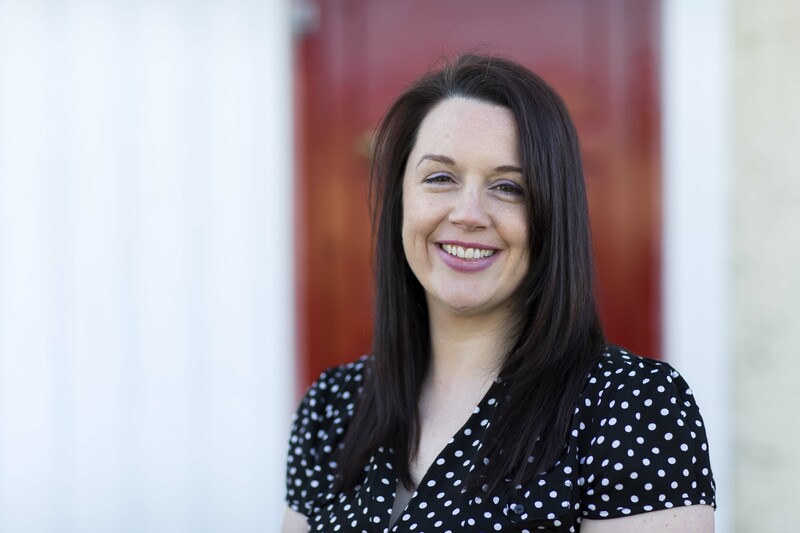 In 2012, Niamh won the overall Hennessy XO New Irish Writer of the Year Award and the Emerging Poet category for her poem ‘Kitty’. 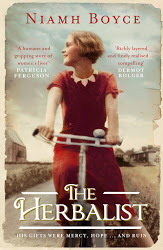 Her bestselling first novel, The Herbalist (Penguin Ireland), won Newcomer of the Year at the Irish Book Awards 2013.